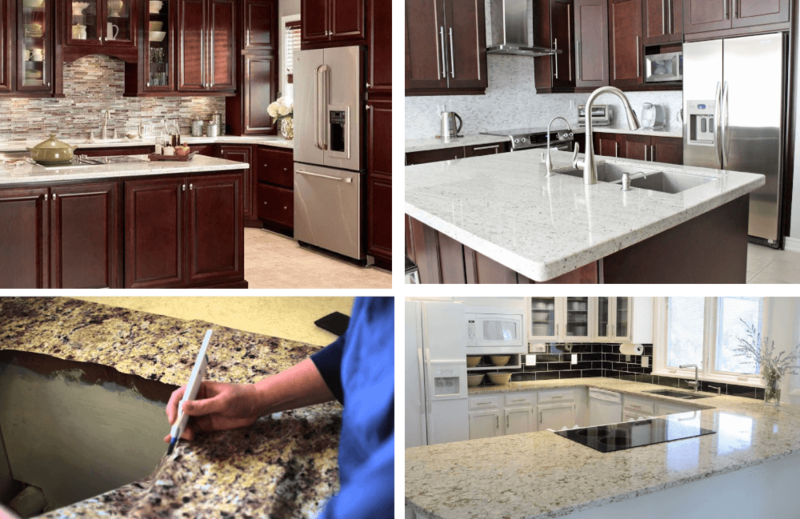 Planning your dream kitchen remodel? Now that we’ve made some headway into 2019, with a few paydays under the belt, it’s entirely normal to feel the urge to refresh. Re-designing the home is very exciting, but it can be a big step. 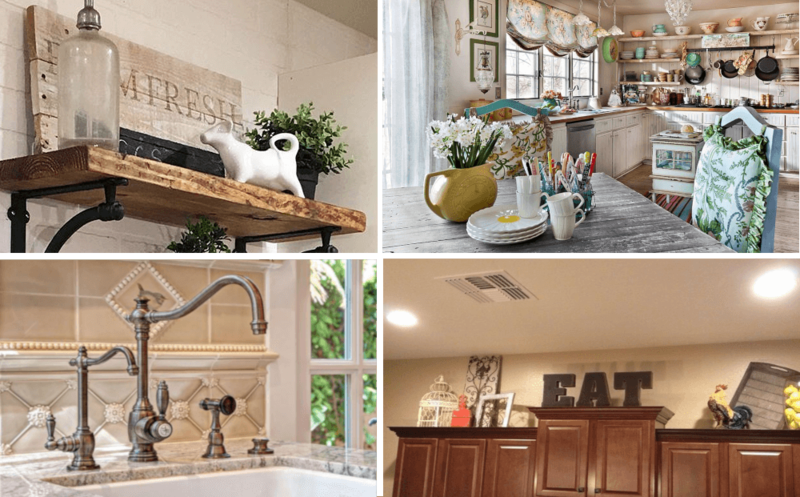 In today’s Pinterest-dominated world, a quick Google search for kitchen remodel ideas can be really overwhelming. There can be such a thing as too much choice. And, what if in all the thousands of pages’ worth of ideas, the ideal kitchen design is overlooked? Well, fret not. We’ve done the scouring for you. 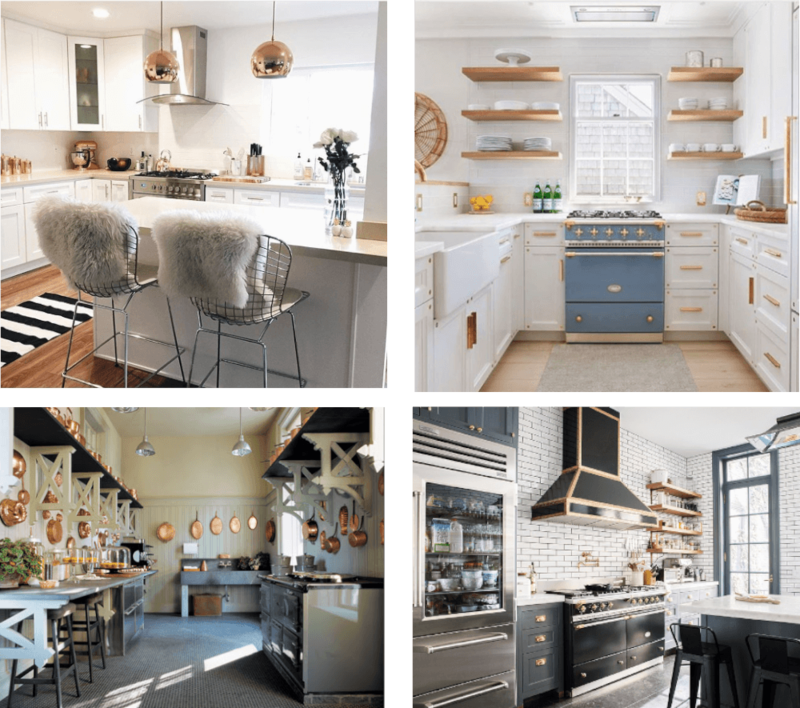 Below is a list of what’s currently hot in the kitchen design world. 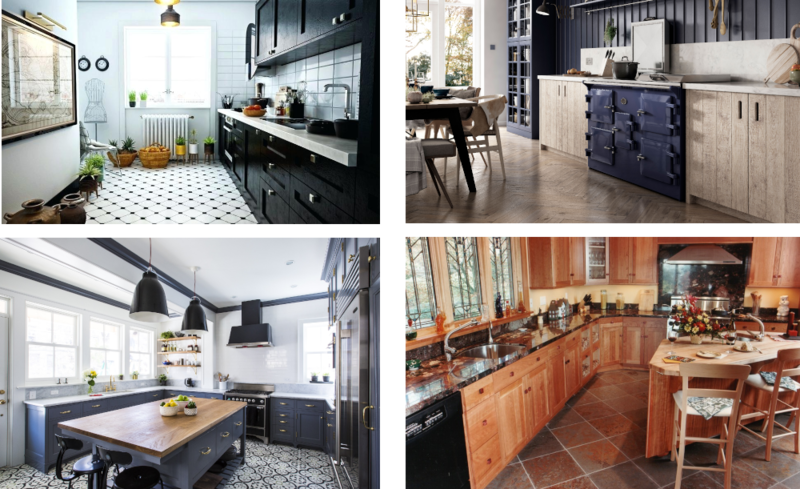 All the colours, themes; the best kitchen trends and ideas that we all believe will be big in 2019 and beyond. So take a look, you might even find the best kitchen remodel ideas under your nose all along. Out with the backsplash (or splashbacks, depending on how you refer to them) trends of 2018 and in with the new! Splashbacks/backsplashes have the potential to set the tone for the overall look of the kitchen. The right colour can inject precisely the right ‘statement’ you want to make. In case you hadn’t guessed, we’re in love with the idea of a bold colour that contrasts with the worktop and the cabinets. The kitchen is often the heart of the home. Embrace every opportunity to show off your creativity, a let it be an emblem of your’s and your home’s personality. The bold colour-contrast combination is, we feel, the perfect contemporary statement for any modern kitchen. In fact, a kitchen backsplash is probably one of the cheapest, quickest, and easiest ways to modify the kitchen and with the greatest impact. One doesn’t have to go too far back to remember the banal days when kitchens came basically pre-packaged; in a handful of simplistic colours. Nowadays, there’s no excuse for the kitchen not to be as vibrant as any other room. That being said, who’d have thought black would ever look good in a kitchen? Well, not only does it look good — it looks great! Personally, we feel there’s a bit of magic in the white and black combination. There’s a real clean, contemporary look to them. 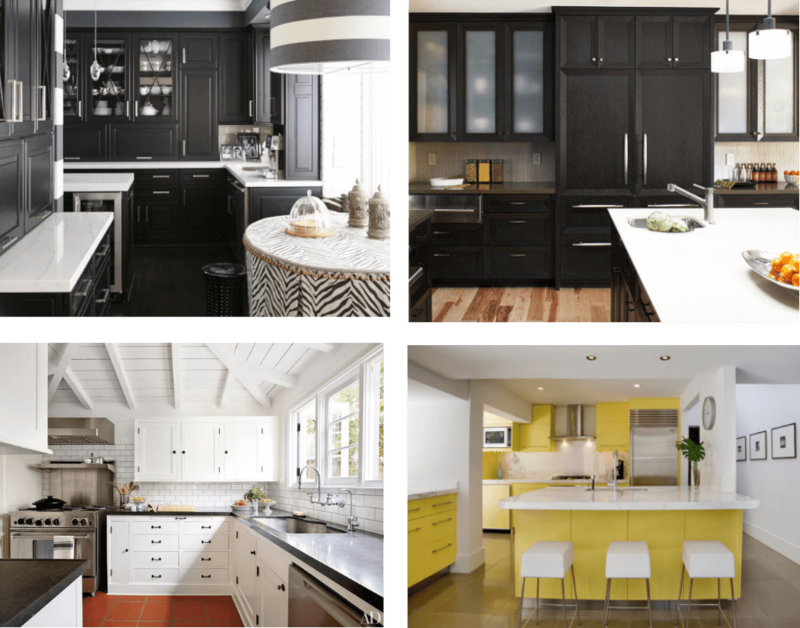 Black kitchen cabinets are really catching for kitchen remodels this year. The inverse is also true: white kitchen cabinets with black countertops also look great. It should be said, however, that the ‘black cabinets kitchen’ effect can also be replicated stunningly in virtually any colour, such as this fantastic yellow. Bright colours such as this yellow resonate sharpness, hygeiene, and a loveley little charm. While we’re on the subject of modern kitchen design trends, painted kitchen islands are massively popular. Just look at these kitchen island colours. A painted kitchen island is guaranteed to be the centre of gravity. We particularly like warm, bright kitchen islands. They bring a lovely quasi-country living dimension with them. In our eyes, a painted kitchen island is a free pass to experiment boldly and deliver a burst of colour without too much worry about the consequence. This is because kitchen islands only occupy a small portion of the kitchen. 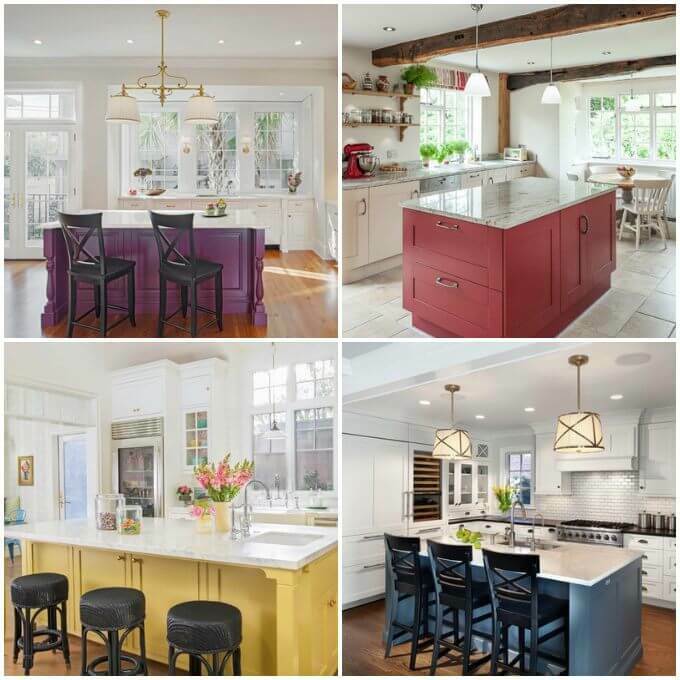 Just look at how these brightly painted kitchen islands capture the eye and brighten the rest of the kitchen with a sort of halo effect. Along with a new kitchen backsplash, a painted island is probably one of the simplest and cheapest things you can do to make a big impact. The speckled, granular, volcanic rock granite has never been unpopular. This timeless classic has, if anything, only grown more popular as prices for it have steadily fallen over time. We still think kitchen islands with a granite top look spectacular. Granite is sturdy and practical; feels great, and couples well with most items and — you guessed it — bold colours. We’re also digging the combination of having cherry kitchen cabinets with a granite countertop. Just look at this cherry kitchen decor. And also: if in doubt, mimic without. Instant granite looks like the real deal, for a fraction of the effort. There’s something about gold decor kitchen remodel idea that echos the early morning on a bright summer’s day. That’s why we love it. The biggest benefits may be psychological — the instant good mood lift even as you’re breakfasting before work. But it also looks very aesthetically sleek. Rose gold decor adds a beautiful, extravagent, contemporary touch. As does just gold decor. We’re huge admirers of copper decor (or ‘brass decor’), and black white and gold decor as well. Have we said ‘decor’ a bit too much? All the cool kitchens have a ceiling that really capitvates and demands attention. This includes the ‘twist on the traditional’ industrial farmhouse look. But we’ve always got time for some faux wood beams, hanging lanterns, and a ‘ceiling island’ as well. You’ll notice that all of the ceilings are white. White works with any colour scheme, which may be the reason behind its unabated importance. 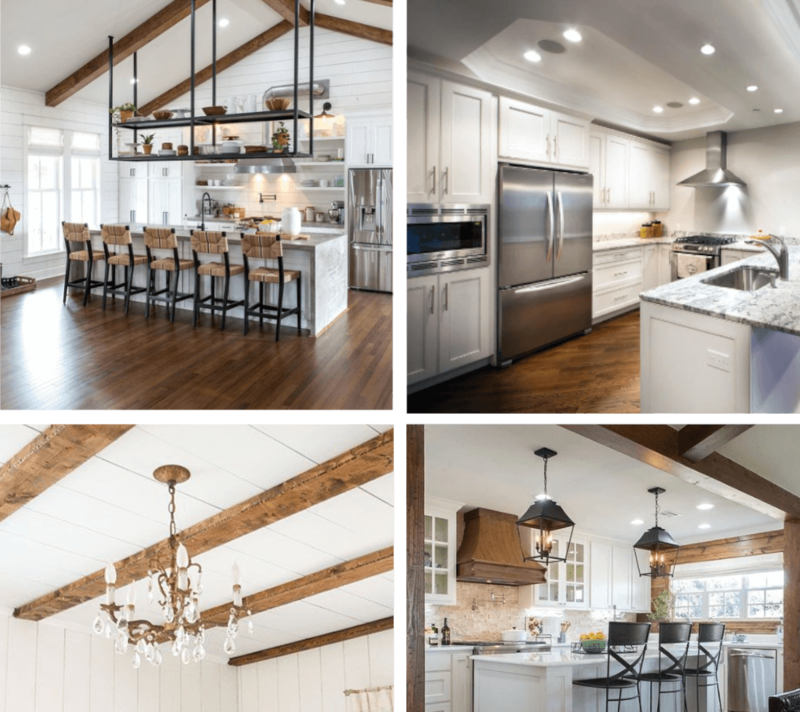 Natural wood is also a colour that works with most designs — and of course a white ceiling contrasted with natural wood is the best of both worlds. The so-called ‘Country chic’ kitchens have always looked stunning to us. In a similar vein to kitchen tiles we mentioned above, there is a dual contemporary-periodic look to Country chic. Even on a budget, the Country chic look can be achieved. Farm shelves are inexpensive, and can be furnished with ornaments of the sort (such as the cow ornament in the picture featured). Bright but pale colours give a cool vintage yet prestidgious look. Rustic appliances have a similar effect. Rustic kitchen faucets and curtain poles all help to embody a certain character. The last image harkens to what will undoubtedly increase in popularity over time. So-called ‘over’ kitchen cabinet decor is not only a solution to storage problems but an extra layer of decoration. The image on the bottom-right gives an indication of what it looks like in a typical kitchen. Thinking of a kitchen remodel this year with bold, vibrant glass? Then don’t go away. Bright colours are a must for 2019. Whatever kitchen remodel it is you have in mind, Carlen Glass can help. 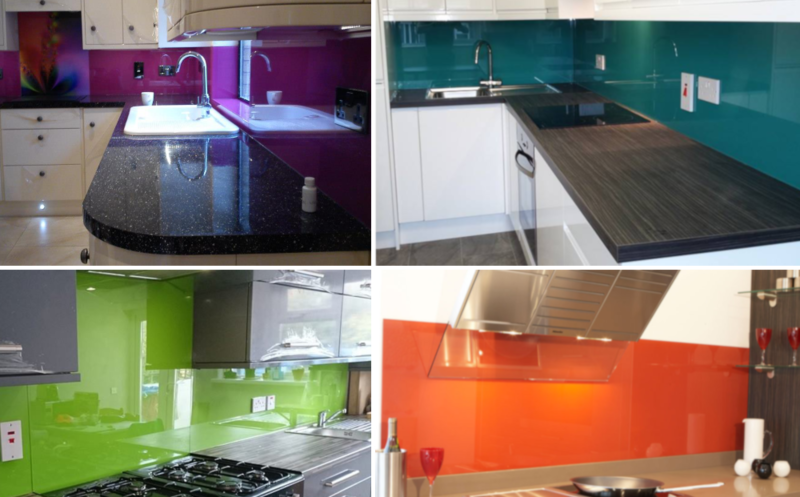 Modern kitchens come alive in brightness, and coloured lacobel glass or a coloured kitchen glass splashback can provide a crucial step towards achieving this vision. For more ‘Country chic’ appearances, glass can play an enormous role in establishing character. Just check out what we can do to mirrors with our beveled mirror service, to our aura antique mirror range.